Don't want to be the air purifier for the vehicle exhaust anymore? Are you MCS and very sick when exposed to strong smells? Are you worried about the second-hand smoke? Are you allergic to pollen and pet hairs? The activated carbon filter is covered with TiO2 photocatalyst and cold catalyst coating to adsorb and decompose the toxin from vehicle exhaust, second-hand smoke, PM2.5, air pollution, smog etc. The activated carbon filter will adsorb the bad smells of the paint, TVOC, Formaldehyde etc. But it can NOT remove all the smells. The activated carbon filter with activated carbon granule can effectively filter second-hand smoke. 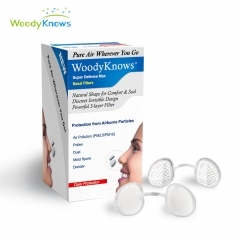 Gas and Pollutant Reducing Nasal Filters protect you from pollen & grass allergies and offer you an opportunity to feel the freshness of nature again. Besides it will block 97% of pet hair, dander & mold to protect you from allergies of your cute puppies and kitties. 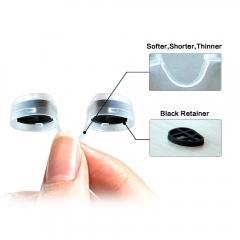 - There are two shapes of nasal filters for your choice, round shape and slotted shape. Please choose it according to the shape of your nostrils. - The size of nasal cavity is different from size of nose. 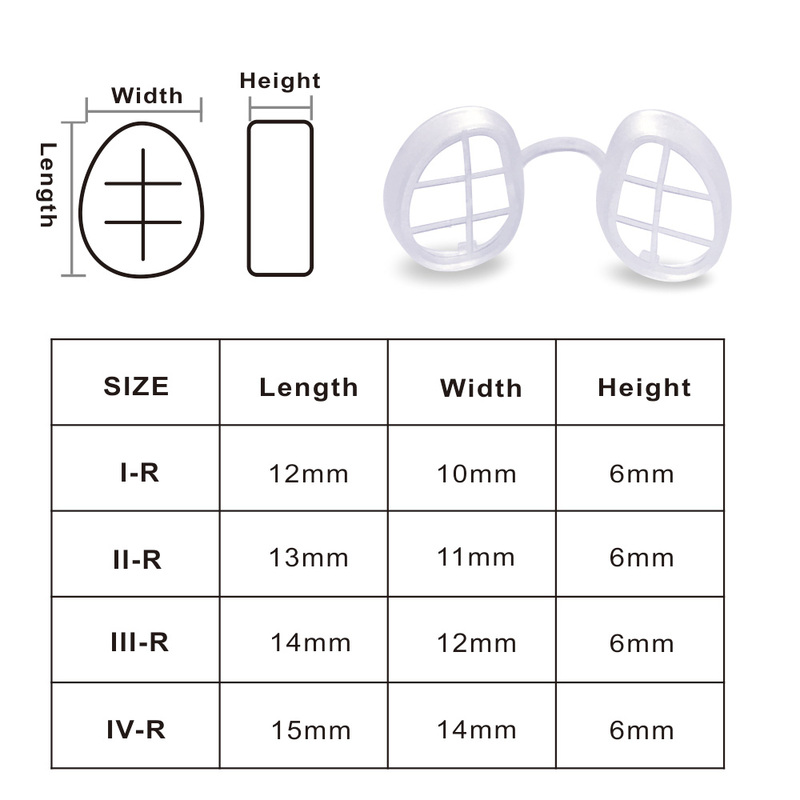 First-time buyers are highly recommended to order the multi-size packs(S/M/L) to find the most suitable size. - Method A. Super Defense Model installed with electrostatic filter, which is breathable for moderate pollen allergy and air pollution. - Method B. Gas and Pollutant Reducing Model installed with electrostatic filter and activated carbon filter double protection for heavy pollen allergy and air pollution. 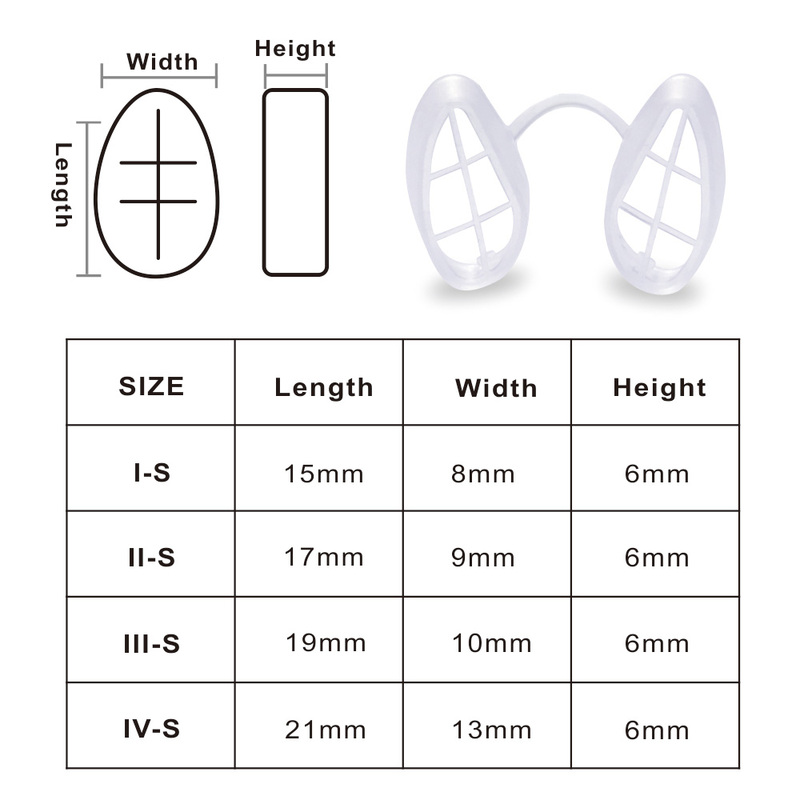 - Positioning - Holding the frame of the nasal filter with the narrow ends pointing towards your nose tip, the wider ends pointing towards your face, and the connector pointing down. - Insert - Using your fingers, insert the filters into your nostrils until the bottom of the frame is positioned just inside your nostrils. 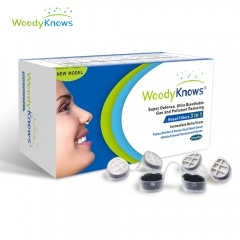 - Adjust - Adjust the filters into your nostrils with little fingers. - Done - You are ready to breathe clean air. 1.How should I clean the nasal filter? Is it disposable? 2.Can Gas and Pollutant Reduce smells, for example MSC? Yes. 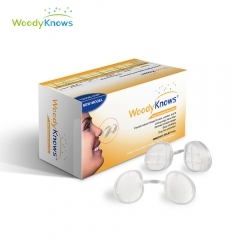 The nasal filter can filter part of the smell NOT completely.It is hepful for customers who have MCS (Multiple Chemical Sensitivity).